Students in Mrs. Parker's third grade class are participating in Kidlink's Math Around Us project. There are different topics for each month. October's topic is: Math Curse Revisited. These third grade students read the math curses sent by other students, solved their "curse" problems and then wrote their own curse. This math topic is based on Jon Scieszka's book, Math Curse. I read your math curse. One morning I woke up at 7:21. It took me 2 minutes to get dressed. It took me 7 minutes to eat breakfast. It took me 9 minutes to get on the bus. It took the bus 10 minutes to pick up the children. It took 2 minutes to get to school. How much time is that in all? Your answer is 30 minutes in all to do this. Do you know the answer to mine? When I wake up in the morning it's 6:15. I get out of my bed. It takes me 10 minutes to brush my teeth. It takes me 6minutes to get dress. It also takes me 4 minutes to go down stairs. It takes me 10 minutes to eat breakfast. I watch tv for 15 minutes before I leave. How long does it take me to get ready to leave for school in the morning? I wake up in 2 minutes. I eat Cheerioes. I wonder, how much milk in a gallon? I brush my teeth for 3 minutes. I wonder how many minutes it will take to go and get ready for the bus? I put my shirt on for 4 minutes. I wonder how many minutes it will take to put on my pants? I think it will take you 1 minute to put your pants on. When I do my home work I have ten books to do 20 . And then ten more and 10 plus 10 = So I have to do 20 books. When I Sharpen my pencils I sharpen 20 then 9 more = 12. So I sharpen 120 pencils at a time . After I have luch I have three pizza and two more later. I add 3 plus 2 = that = 5. So every day I eat 5 pizzas a day. In class I saw five little red hens and five more red hens and five more on Justin’s head and 5 more on Christan Bozman’s desk and 5 more on Mrs. Parker’s head then she just went crazy and went out of the room and started yelling and shouting. I wake up at 7:00. It takes me 5 minutes to ge ready. My bus comes at 8:30. I see 22 on the bus. I see 1000 cars and vans. I finally reach school. All of my subjects are Math. I used to love Math, but not any more. I have 20 dollars and 1 dollar, how much money do I have? I play for 1 hour and the eat. Here is your answer to your problem 1042. Is that the answer? Here is mine. 5 red shots 5 blue shots that is a math problem. Mrs.Parker put a math cures on me.10 door 10 more doors that is a math problem.10 boxers and 1 more that is a math curse. Mrs.Parker put a math curse on me. 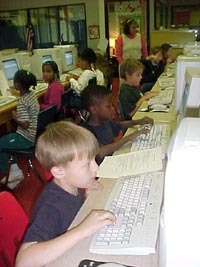 There are 27 kids in my class 1 moved to a new class how many kids are left. How many kids are outside a recsess. It took me 1 minute to brush my teeth. It took me 2 minutes to eat my breakfast. It took me 3 minutes to put on my clothes. It took me 1 minute to put on my shoes. It took me 5 seconds to tie my shoes. How much time did I spend? We went to morning meeting at 9:00. We went to lunch at 11:30. We went home at 3:30. You spent 7 minutes and 5 seconds to get ready for school. It took me 5 minutes to get out of bed. It took me 2 minutes to get dressed. It took me 1 minute to brush my teeth. It took me 2 minutes to brush my hair. It took me 8 minutes to found my coat. It took me 2 minutes to get my shoes on. It took me 1 minute to get my shoes tied. It took me 8 minutes to get to school. How long did it take me to get ready for school this morning?